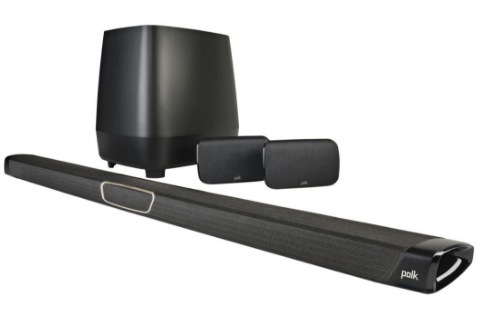 Enter the new Best Buy Contest, in it, you get the chance to Win 1 of 2 Polk MagniFi MAX home theatre sound bar system. This contest is open only to legal residents of Canada. Entrants under the age of majority must seek parental/guardian approval to enter. To enter you need to visit the official contest web page located at the Best Buy Blog, then locate the post promoting this competition and use the comments section to write your answer to the question “tell us about the show, movie, sports or music event that you would benefit from the MagniFi MAX surround sound experience and why”. The contest ends on February 6, 2019 at 11:59 pm PST. Winners will be selected by random draw from all eligible entries. There are two prizes available to be won, each consisting of a Polk MagniFi MAX SR sound system. The Best Buy Contest will run between 11:30 a.m. PST on January 23rd 2019 and 11:59 p.m. PST on February 6th 2019. The draw will take place on February 11, 2019. Winners will be contacted in a response to the contest entry.